Conventional Tomato harvest continues to be unpredictable; field yields have been hard to predict. 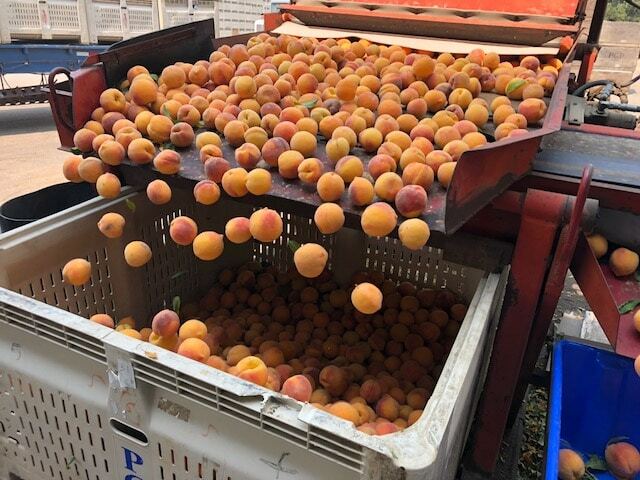 Apricot harvest concluded on June 27th. Most growers came up short of their original estimates. Organic Peach harvest finished up on July 22nd; fruit quality was good. Organic Tomato harvest completed on August 1st. Harvest was received as anticipated. Peach harvest finished on September 5th. The many continuous days of over 100 degree heat took a toll on the fruit this year. Pear tomato harvest is also complete. Fruit and crop quality were good. Pear harvest wrapped up on September 6th. All growers were able to fulfill their contracted tonnage. Light crop set in the Lower Yakima, Mid Valley and Wenatchee districts in Washington, and smaller average Pear sizing reduced crop volumes in the Northwest. Cherry harvest is complete. Cherries had good size, color and firmness. Grape harvest is complete. Fruit size was small, but the quality of fruit was good. Pear and Conventional Tomato harvest continues and the crop looks good. Ross variety Peach harvest is nearly finished. Growers are behind in their picking because of short labor. Pear harvest continues in the Mendocino and Lake Country districts. The Pear crop looks good. We are 97% complete with our Cherry harvest and will finish sometime next week. Grape harvest continues in Bakersfield and Madera harvest started on August 7th; tonnage may come up a little short. 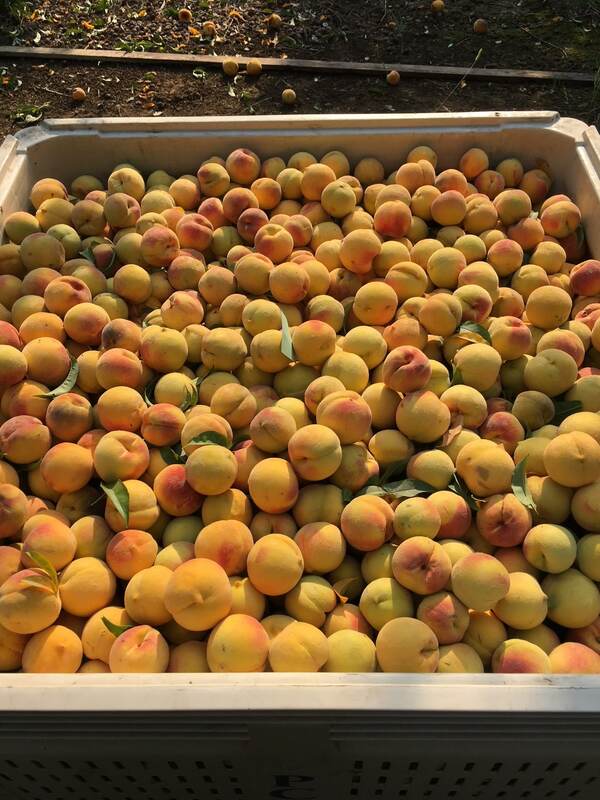 Apricot harvest was completed on June 27th. Most growers came up short of their original estimates. Organic tomato harvest is going well. Crop continues to look good. Pear tomato crop is maturing nicely and looks to be ready to harvest towards the end of this month. Extra Early variety Peaches are being picked. Growers are having trouble finding enough labor to pick fruit. We received our first Pear loads from the River and Linden Districts on Friday July 14th; fruit size is small. The Northwest Cherry harvest continues and will go through the end of August. Anticipated harvest start date for Bakersfield Grapes is July 31st and sometime during the second week of August for Madera Grapes. The conventional Tomato early season crop is maturing nicely and appears it will also be ready to harvest at the end of July. Organic peach harvest continues and will increase in volume this week. Organic tomato crop looks good and harvest is estimated to start in about 4 to 6 days. Pear tomato harvest is expected to immediately follow the organic harvest. 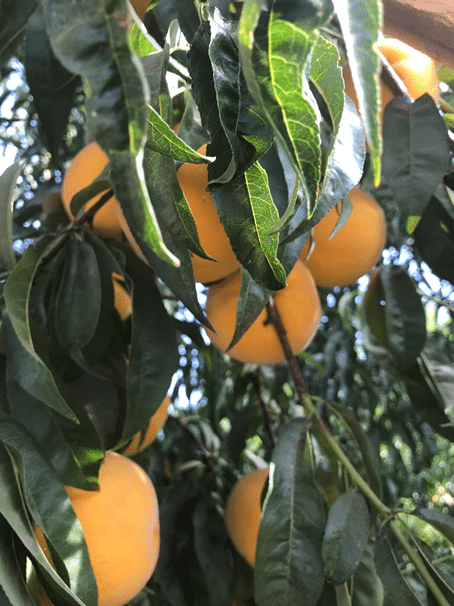 First pick of Ceres Carson peaches is complete in the Modesto/Madera area, and the second pick should finish up this week. California pear fruit continues to size and variation in fruit sizes can be seen on the same tree in all districts. Growers estimate harvest start date around July 12th. Grape preliminary sugar samples will be taken this week in Bakersfield. This will help us determine our start date. Conventional tomato plants and fruit are progressing as expected. Organic peach harvest started on June 5th and will continue into July. Apricot harvest began on June 9th. Fruit quality and size look good. Organic tomatoes are growing and maturing nicely. Harvest is predicted to begin around July 10th. Conventional peach thinning continues and should wrap up in the next few weeks. Grape berries continue to size and softening is a couple weeks away. Crop potential looks adequate. Pear fruit has finally turned down. Growers estimate harvest start date around July 12th. Pear tomato plants are also looking healthy. Predicted harvest is likely to immediately follow organic tomato harvest. Apricots that are beginning to turn color have already achieved minimum size requirements. Anticipated harvest start date appears to be sometime around June 9th. Organic peach thinning finished up on May 19th. Anticipated harvest start date is June 5th to June 7th. Conventional peach thinning is going well. Growers are reporting that the crop looks to be an average crop. Pears are growing nicely and currently range in size from 1” – 1.5”. Fruit quality looks good to date. Grape girdling in Bakersfield is underway and should begin in Madera in a week or two. Conventional tomato early plantings are maturing and growing. They are starting to show blooms with regularity. Oyster harvest began in March and initial harvest is seeing raw materials on the smaller side. The largest growing region for Mandarin Oranges in China saw some declines in fruit output but will hopefully see this pick up. Pineapple raw product in Thailand and saw immature, un-ripe and small fruit in their 2016 Winter Crop which ended in February. Peach thinning has begun in select Extra Early orchards. Some growers feel they may not need to thin some varieties due to a lighter set. Pear fruit is sizing well. Sizes range from under ¾ inch in diameter to just over 1 inch. Grape bunch counts in Madera are averaging 26 bunches per vine. Timing continues to look about 5 to 7 days later than last year. Apricot thinning is complete and sizing samples will be taken next week. Organic tomato plants are in full bloom and are looking very good. Conventional tomato transplanting continues. Strong winds and unseasonable heat has slowed some growers’ transplanting capabilities. 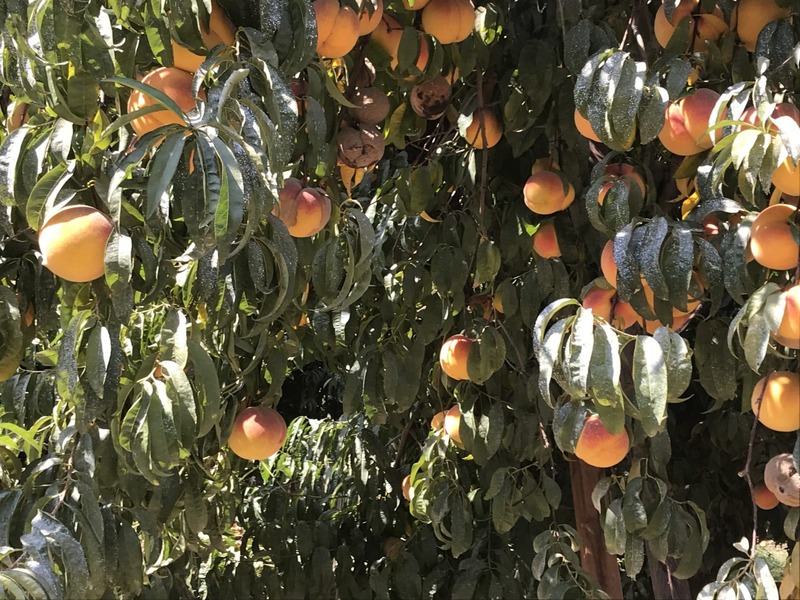 Peach tree thinning will begin for most growers in the next week or two and growers are beginning to talk about a lighter than normal set. Pears had some hail damage but only one grower was impacted. Apricots do not appear to be maturing at a uniform rate, but potential looks good. Grape bunch counts should be completed this week in Madera. Crop potential continues to look good. Conventional Tomato planting will resume this week. Plants that have been planted look very good. Pear Tomato plantings are complete. So far all is well and looking good. Gov. Jerry Brown signed an executive order lifting California’s drought emergency in all but four counties; the emergency had been in place since 2014. Conventional Tomato transplanting is underway. Due to rain, transplanting has been put off this week and should resume the week of April 17. Organic Tomato transplanting is complete. Harvest is predicted to begin July 10th and last approximately 14 days. Peaches are beginning to show some fruit sizing and growers are optimistic about fruit development. Pear Full Bloom was March 20 and that fruit clusters are starting to show. Apricots are nickel to quarter size at this time. Growers are determining if thinning will be necessary. Weather: Sacramento was at 205% of normal rainfall for the July 1 – March 1 period. Peach harvest ended on August 27th. Quality was exceptional throughout the entire harvest. Tomato harvest completed on September 23rd. It was a successful season overall. Apricot harvest finished on June 18th. Fruit size and quality were above average. Grape harvest ended on August 30th. Harvest went well and growers made estimated tonnage. Pear harvest finished up on August 20th. Fruit developed well and size was great. Conventional peach harvest is expected to wrap up this week or early next week. PCP’s Avalon Orchard is doing well and has lots of new growth. Conventional tomato harvest continues and we are on track to receive expected tonnage. Pear harvest is complete. The quality and size of fruit was good. Grape harvest should finish up in the next few days. Organic peach harvest is expected to finish up this week and fruit quality is great. Grape crop potential looks good. The estimated harvest start date is July 23rd. Organic tomato pack is expected to conclude on Saturday. Conventional tomato harvest should start around the end of the month. Pear harvest is in full swing in the River District and fruit quality looks good. Apricot harvest is complete. We were able to secure the tonnage to make a full pack. Apricot harvest is complete. We received the tonnage for a full pack. Organic peach harvest is in full swing and fruit quality is great. Pears are sizing well and fruit quality is good. Tomatoes are maturing nicely. We are estimating July 1st as the harvest date. Grape bunches are filling in and crop potential looks good. 18 Peach growers were hit by a hail storm in early May. The growers are anticipating 5% – 50% damage to the fruit. Another hail storm is supposed to hit again tonight. Pears are sizing well and fruit quality is good. Early Conventional tomatoes are starting to bloom and Organic tomatoes are looking healthy. Apricots are sizing well and continuing to show more color. Grapes are maturing nicely and crop potential looks good. Peach growers are expecting a crop with average tonnage and are having some issues finding labor. Conventional tomatoes are 70% planted and Organic Tomatoes continue to grow nicely. Apricot thinning is complete and crop potential looks good. Pear ripening continues and crop potential looks good. Weather in Northern California is expected to be in the high 70’s to low 80’s for the next 4 weeks. Full bloom in peaches was called on February 26th, which is the earliest on record. Pear bloom has started and also looks to be ahead of average. Organic tomato transplants are now in the ground and conventional transplants should begin late next week.